Construction workers are still hammering and sawing in the Canadian War Museum in Ottawa, days before its official opening. Meandering a way through the exhibits of the brand new museum, the first visitors stumble onto the moment when the history of Canada intersects with that of the Netherlands. Around the corner of the invasion of Sicily, the battle for Ortona en D-Day, a large historic aerial photo depicts the flooded Scheldt estuary, where Canadian troops fought a ferocious battle in 1944 to bring the entrance to the harbour of Antwerp into Allied hands. The Canadian War Museum in Ottawa. A little further, there are images of Canadians as liberators, defenders of freedom and democracy. 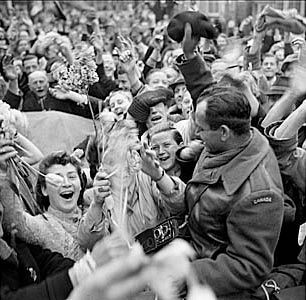 A mute film shows enthusiastic crowds of Dutch cheering Canadian troops in 1945. And a large panel shows Canadian veterans being honoured during commemorations of the end of World War II in 1995. Where else than in the Netherlands, the only country in the world where Canadians is synonymous with liberators? Dutch people, anyway. In Canada, memories of the liberation are less prominent. 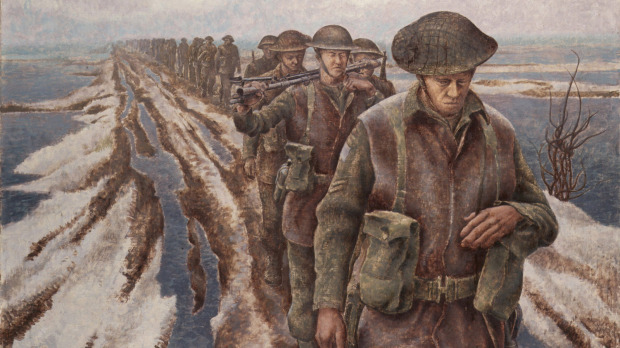 Although the liberation of Holland is a standout achievement in Canadian military history, the climax of a heroic battle in which a small nation came of age, relatively little is done in Canada to celebrate it. Some observers say the focus of the country has become too anti-militaristic, too much focused on a preference for peacekeeping operations, to boast about Canada’s war history. They should, argues Granatstein. Because to Canada, the liberation was the crowning achievement on a massive war effort that saw the country grow from a British Dominion into a self-confident nation with its own role in the world. Canada declared war on Germany in 1939, two years before the United States entered the conflict. At the end of the war, Canada had more than 1.1 million people in uniform, of a total population of 11 million. It had one of the world’s largest armies. About 42,000 Canadians died in the war, while 54,400 were wounded. As far as Granatstein is concerned, the liberation of Holland deserves more attention in history lessons in Canada’s schools. If World War II is taught at all, the focus is often on what was done wrong, he says — the persecution of Japanese people in Canada, for example. By nature, Canadians are too self-critical to trumpet their successes the way Americans do. Facade of the Canadian War Museum in Ottawa. TV footage of the commemorations in Holland honoring the Canadian casualties and veterans has made an impression in Canada. There has been extensive coverage of the events surrounding the 60th anniversary of the end of the war. Both English and French TV stations have been reporting them live. The commemoration at the military cemetery at Groesbeek was the opening item of the National TV news. Granatstein says Canada should take the “moving” way in which the liberation is remembered in Holland as an example. 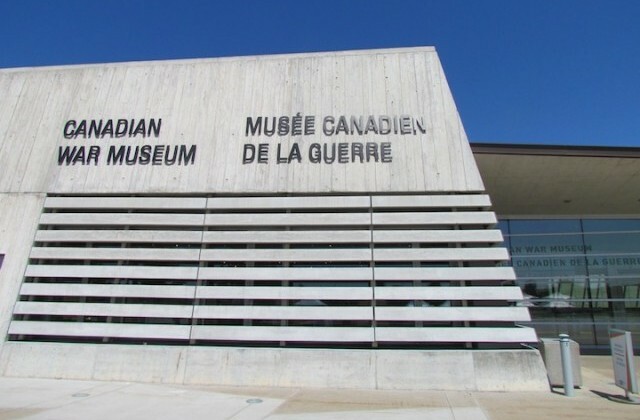 He hopes that the new War Museum will engage more Canadians in their country’s war history. Even if the museum, with its grandeur and glorification of military successes, is almost un-Canadian. 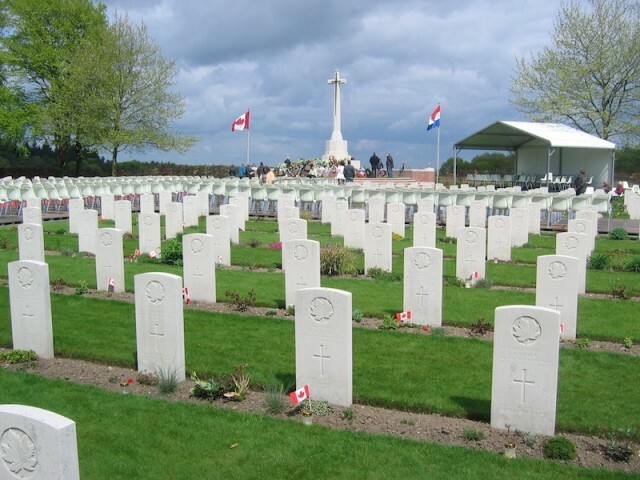 Military cemetery of Canadian servicemen and women in Groesbeek, Netherlands.